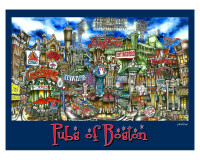 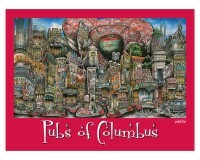 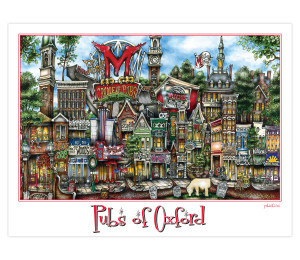 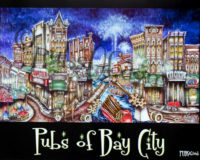 18” x 24” poster version of hand painted image of the iconic “pubs” and landmarks in the town of Oxford, OH surrounding the University of Miami of Ohio. 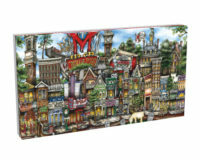 SKU: OXOHPO. 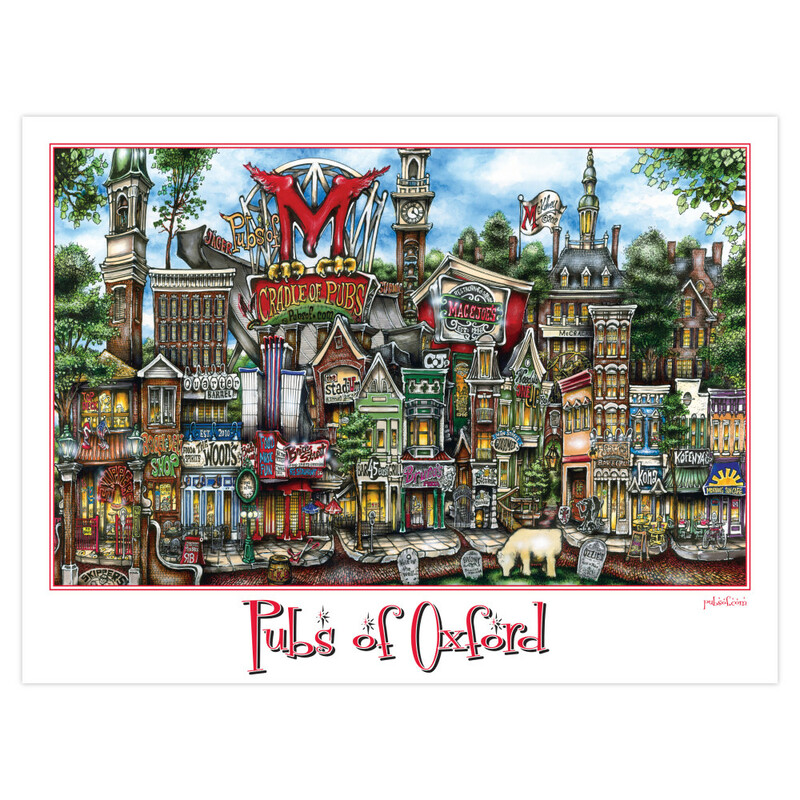 Categories: College, Miami of Ohio, Oxford, Oxford, Poster, Town. 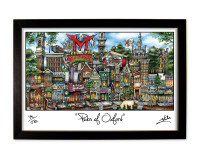 Would You Like If Framed? 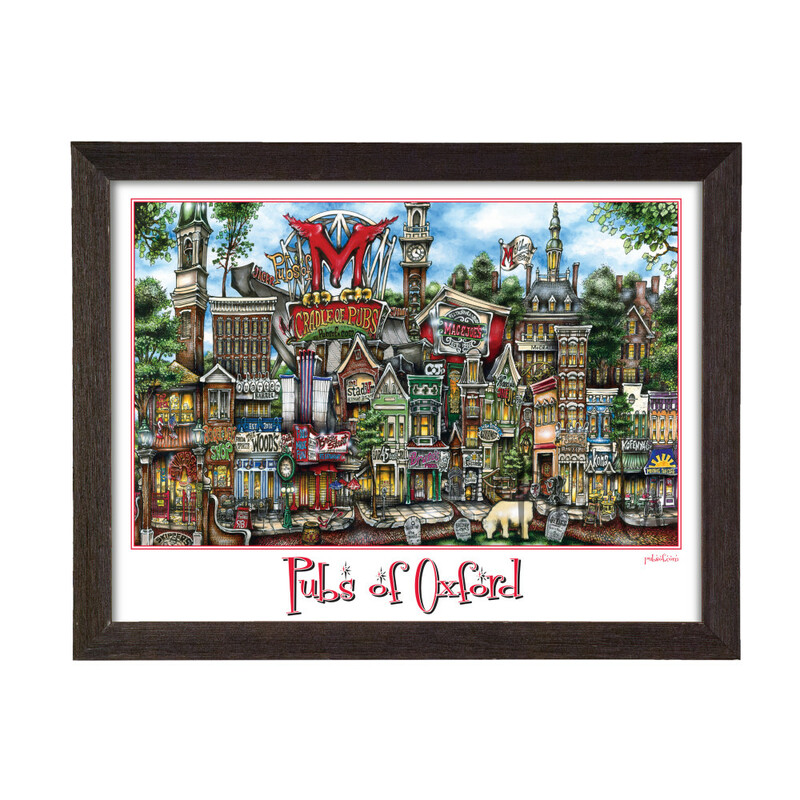 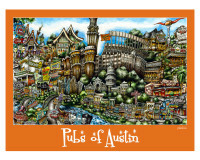 Be the first to review “pubsOf Oxford, OH (poster)” Click here to cancel reply.